Dutch artists Lernert and Sander have created the most interestingly appeasing project we&apos;ve seen in a while. 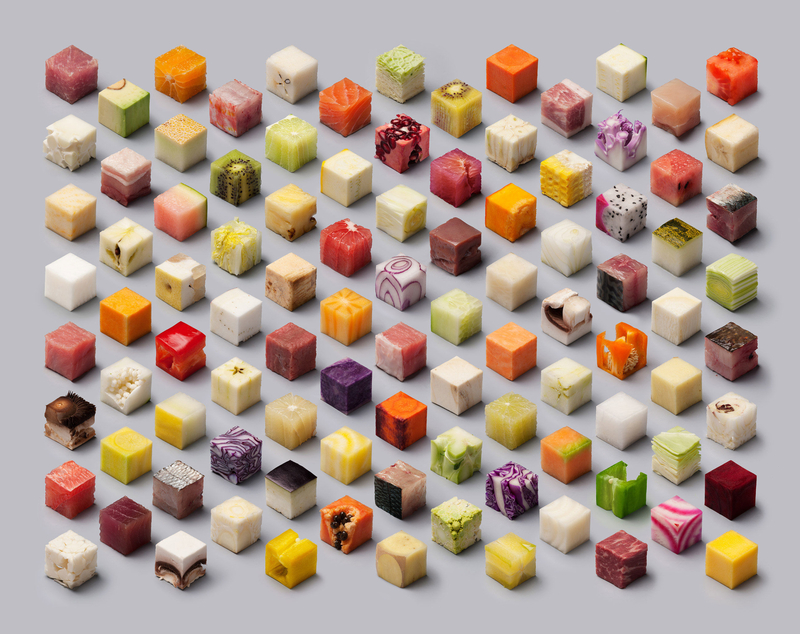 Titled &apos;Cube&apos;, the project consists of the Dutch artists cutting raw food into 98 perfect 2.5 x 2.5 x 2.5 cm cubes, creating a beautifully set-out display of eats. This viral photo was commissioned by Dutch newspaper de Volkskrant for their food-themed documentary photography special.